From Jo March of Little Women (1868) to Katniss Everdeen of The Hunger Games (2008), the American tomboy figure has evolved into an icon of modern girlhood and symbol of female empowerment. 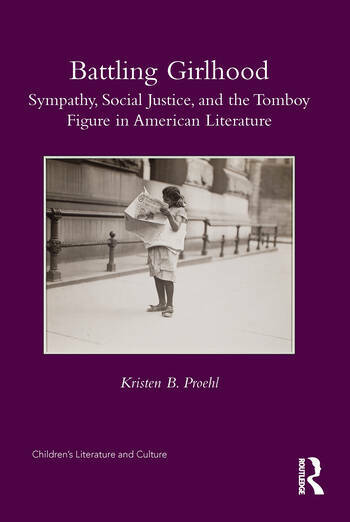 Battling Girlhood: Sympathy, Social Justice, and the Tomboy Figure in American Literature traces the development of the tomboy figure from its origins in nineteenth-century sentimental novels to twentieth- and twenty-first-century literature and film. Kristen Proehl is an assistant professor of English at SUNY-Brockport, where she teaches courses in children’s and young adult literature. Her work has appeared in Jeunesse, The Journal of Lesbian Studies, and several essay collections. She is currently working on a second book project on queer friendship in adolescent literature.